Daily Fiber Intake | What does 25 grams of fiber look like? 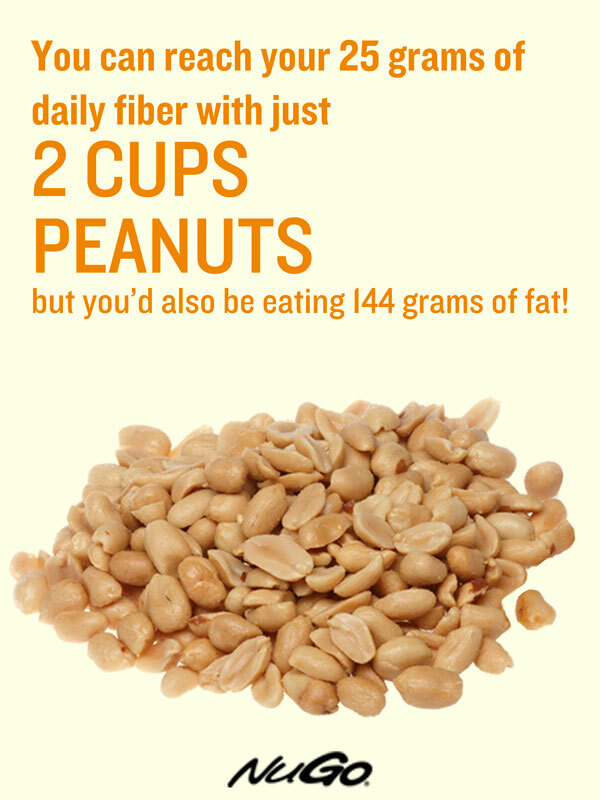 What does 25 grams of fiber look like? According to Dietary Guidelines issued by the USDA, adults should aim to for a daily fiber intake of at least 14 grams for every 1,000 calories consumed, setting a base Daily Value at 25 grams of fiber. (The Institute of Medicine recommends eating even more fiber for maximum health benefits. Think 21-25 grams for women and 30-38 grams for men.) 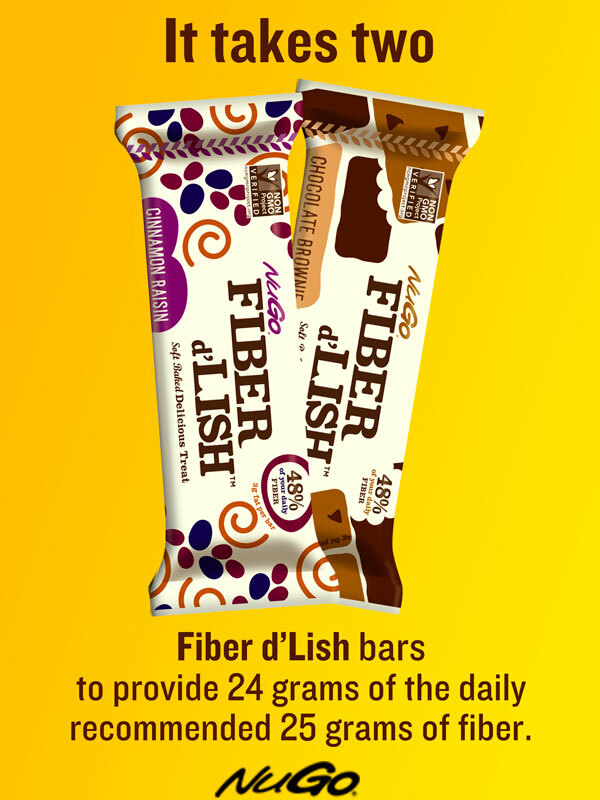 You already know that each Fiber d’Lish bar has 12 grams of fiber, but what does 25 grams of fiber look like in other foods? How much fiber is in an apple? 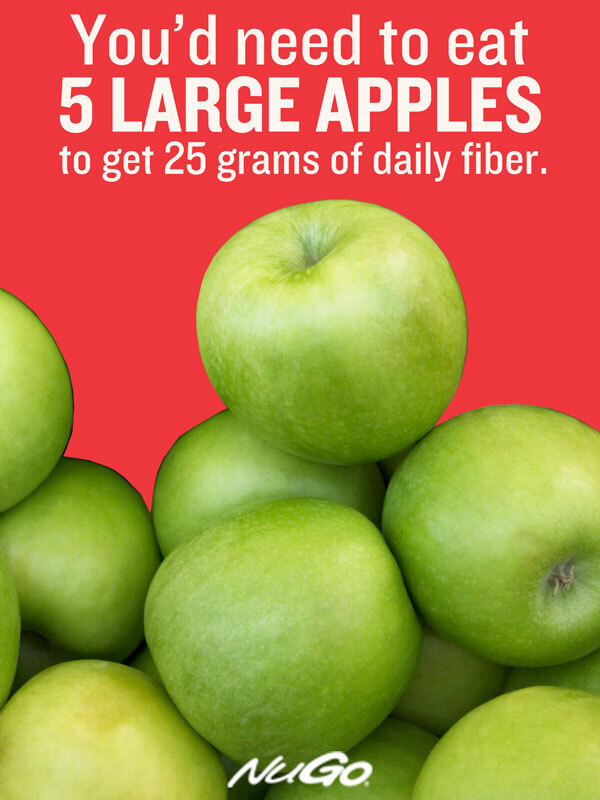 Each large apple contains about 5 grams of fiber. Make sure to eat the skin! 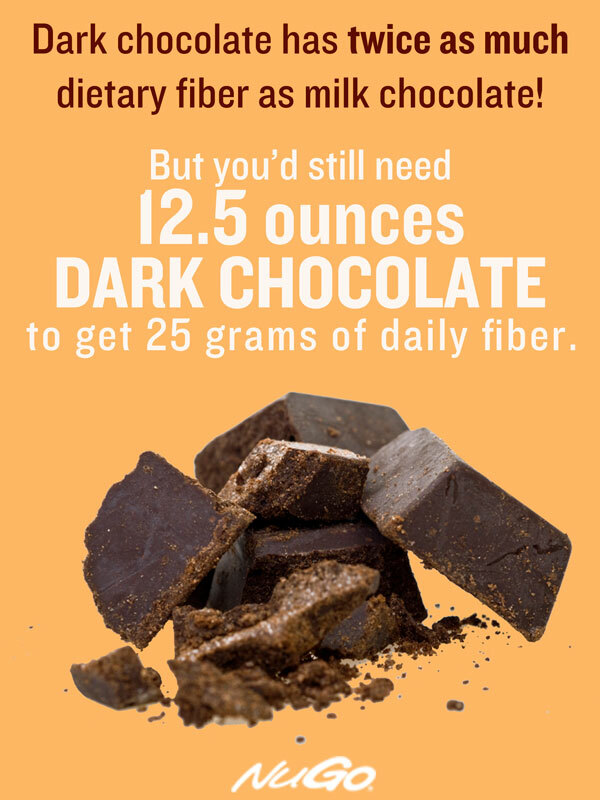 There are about 2 grams of fiber in every ounce of dark chocolate. Choosing dark over milk chocolate also gives you added antioxidants. Baby carrots are a great snack, but each one only provides about 0.3 grams of fiber. 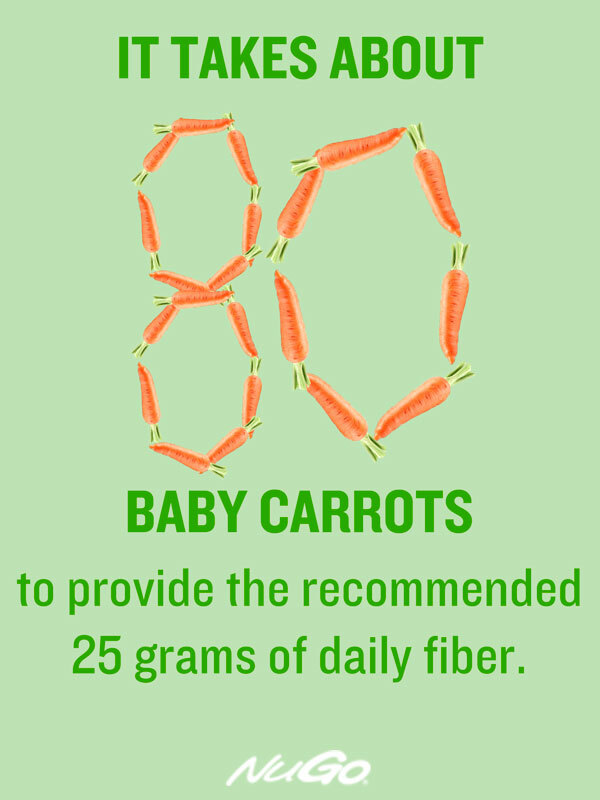 At that rate, you’d have to eat 83 baby carrots to get 25 grams of fiber! 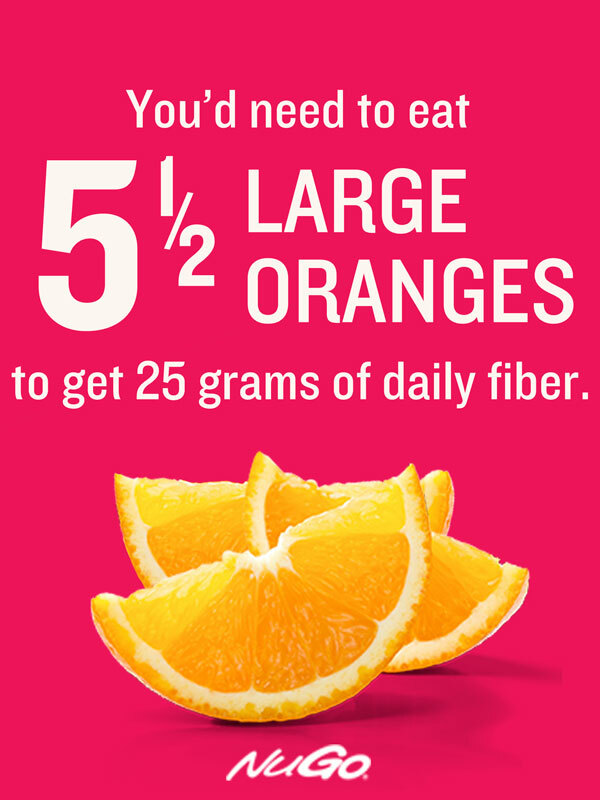 Packing a large orange in your lunch each day is an easy way to get about one sixth of your daily 25 grams of fiber, as one large orange packs about 4.4 grams. 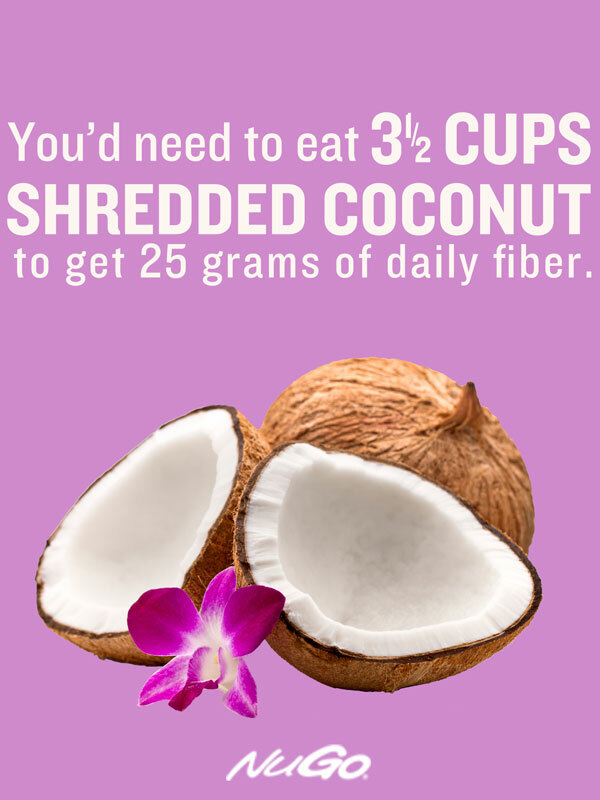 Each cup of shredded coconut contains about 7 grams of fiber… and 120% of the daily value of saturated fat. If you’ve got a hankering for coconut, a small amount is enough to add the coconut flavor you crave, along with a decent amount of fiber. With 3.6 grams of fiber in each cup of blueberries, adding one cup to your morning oatmeal can help you start the day strong, so you can be well on your way to reaching your fiber goal. Peanuts are tasty, and high in fiber and protein. 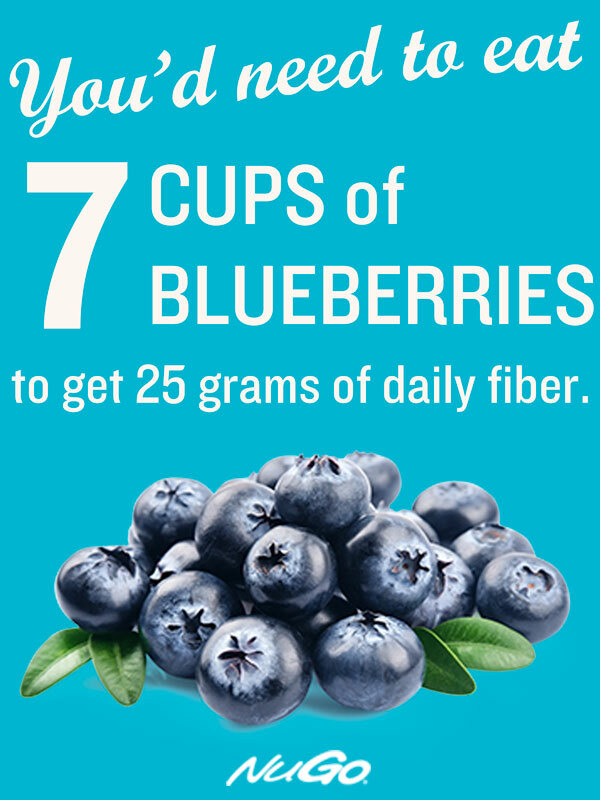 There are 12 grams of fiber in just 1 cup! But peanuts also have a surprisingly high fat content. If you’re going to snack on nuts, try to keep your serving size to about 1/4 cup. They may look like prunes, but you’d have to eat a whole lot of raisins (about 5 cups!) to reach 25 grams of fiber. 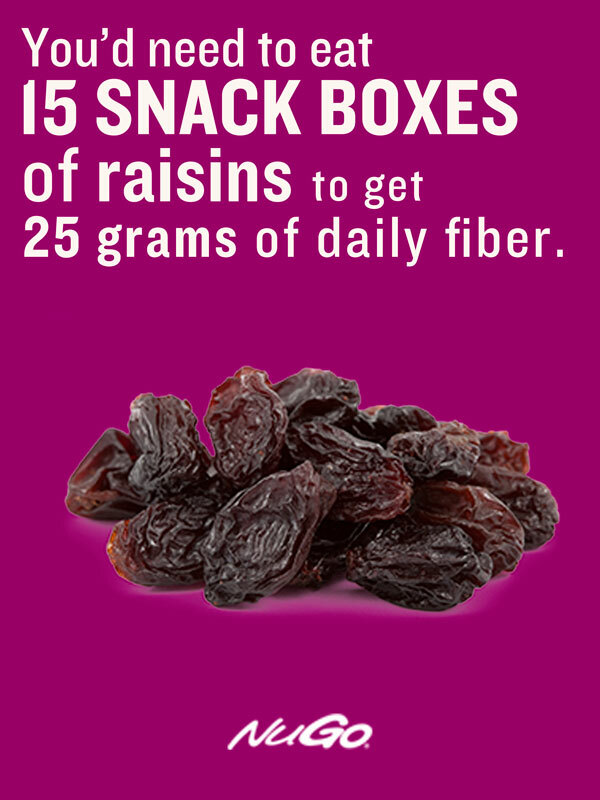 Each small box of snack raisins only contains about 1.6 grams of fiber – along with a very high 25 grams of sugar. 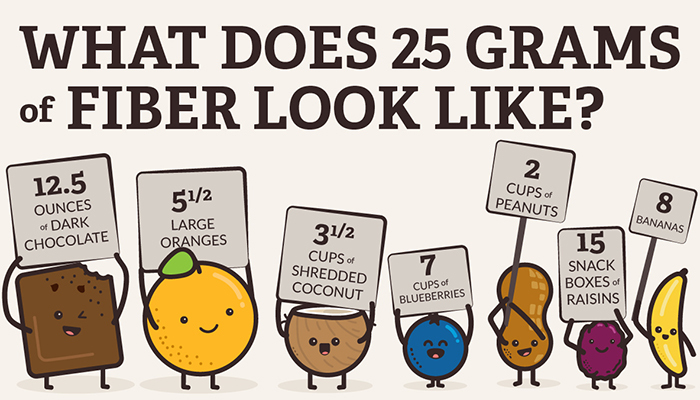 If you ate 5 cups of raisins to get your 25 grams of fiber, you’d also be taking in over 400 grams of sugar! Adding a banana to your daily diet is a helpful and tasty way to get some of the potassium your body needs. 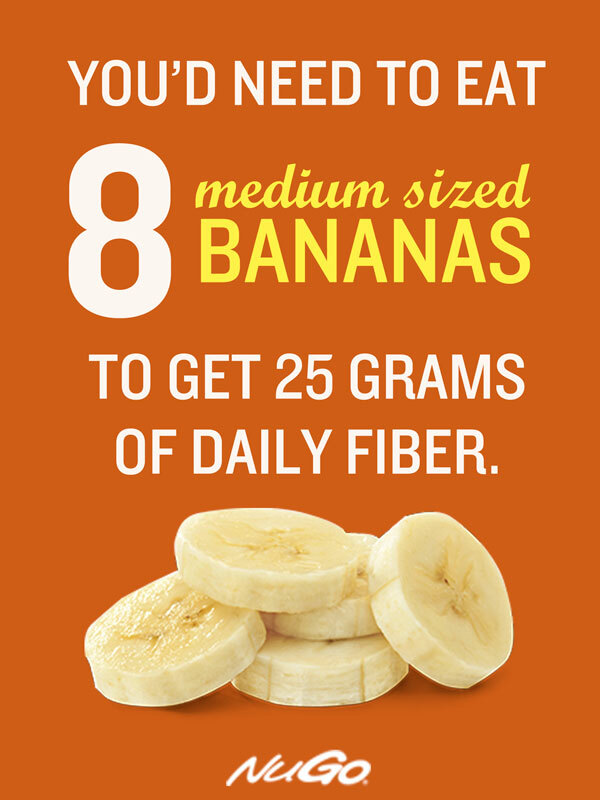 But you’d still need to eat eight bananas to reach a goal of 25 grams of fiber. It’s a good idea to reach your recommended daily fiber intake from a combination of fruits, vegetables, whole grains and seeds, so you get a mix of other vitamins and nutrients that are naturally found in whole foods. If you’re looking for a natural, on-the-go high-fiber option, try one of the 8 flavors of Fiber d’Lish. Made with whole grains and seeds, and sweetened with real fruit juice, each bar provides 12 grams of fiber. Flavors range from Chocolate Brownie, to Banana Walnut, to Cinnamon Raisin, to Coconut Macaroon. BROWSE ALL 8 FIBER d’LISH FLAVORS HERE! Nutrition information on amount of fiber, sugar and fat in different foods taken from USDA measurements. This entry was posted in Fiber 101.